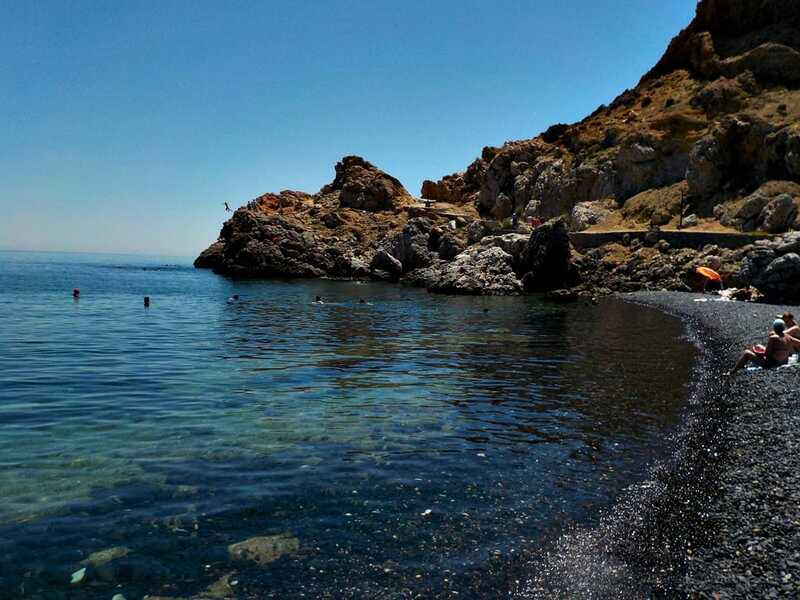 There are some places in Chios where you crave to feel the water. 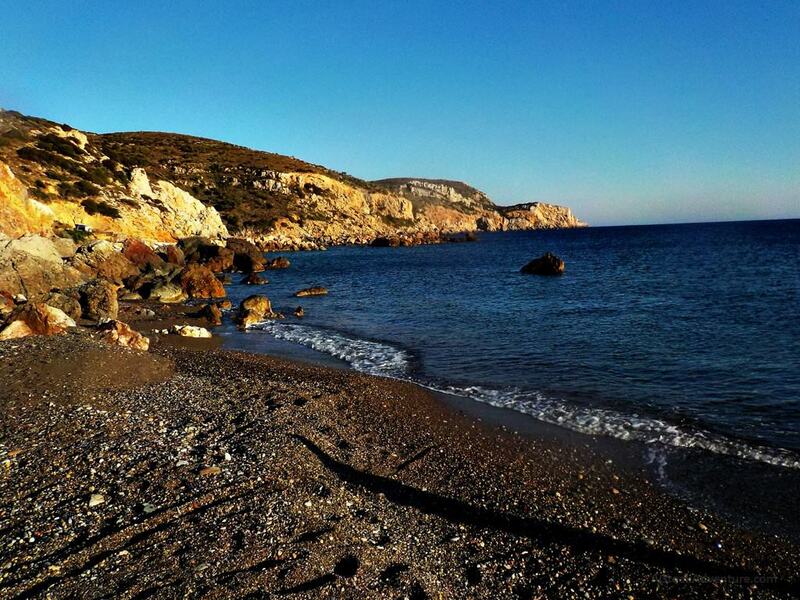 Chios beaches have such an energy and feeling, that you are lured to slowly merge your body with the sea. Two of them are marked as “must go”. Their names? Apotheca and Mavra Volia. On a hot hot day, you almost hear the sound of your skin shifting from terribly hot, to “God I feel so cool now”. We tried those 2 beaches and we are happy to report back. This one is well known and you will find it in many guides. It is close to Emporio village. 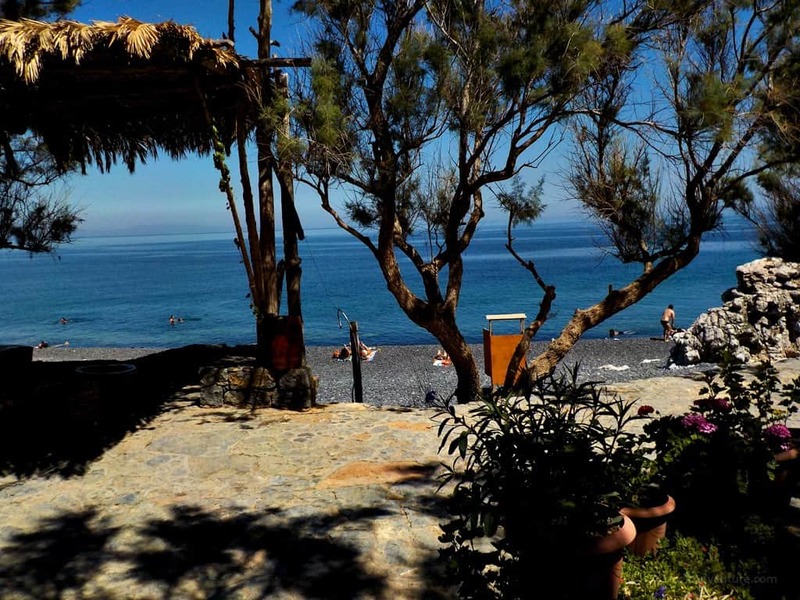 However few know that Mavra Volia is not just 1 beach, but two. Well, I would say three, one next to other. You can choose which one you want to taste, or you can taste them all. This is where you originally arrive. Actually this angle is from a different side. When you arrive, you land on the area where the shade is. There is a kiosk there with refreshments and ways to spend time. Maybe you just want to sit and enjoy the view. 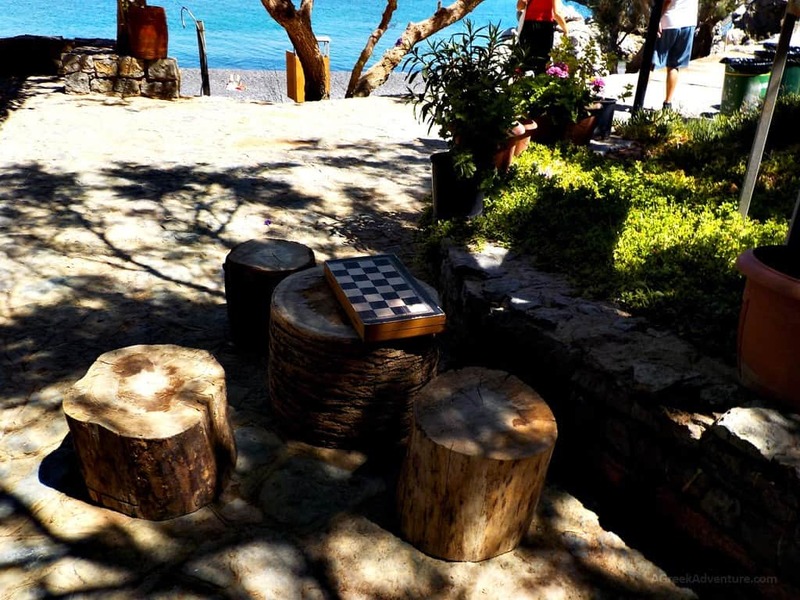 It is an organized beach with cabins to change and outdoor showers. 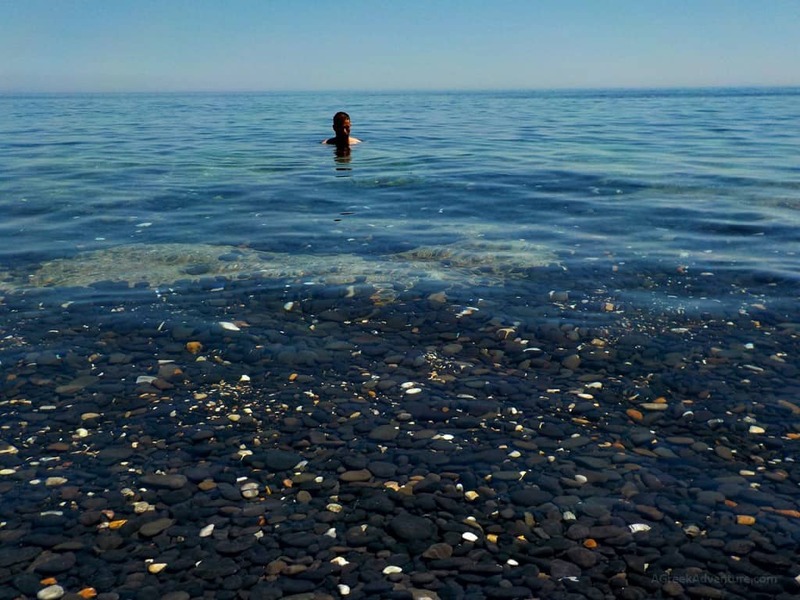 This beach took its name from the black pebbles that are found all over the beach and inside the sea. 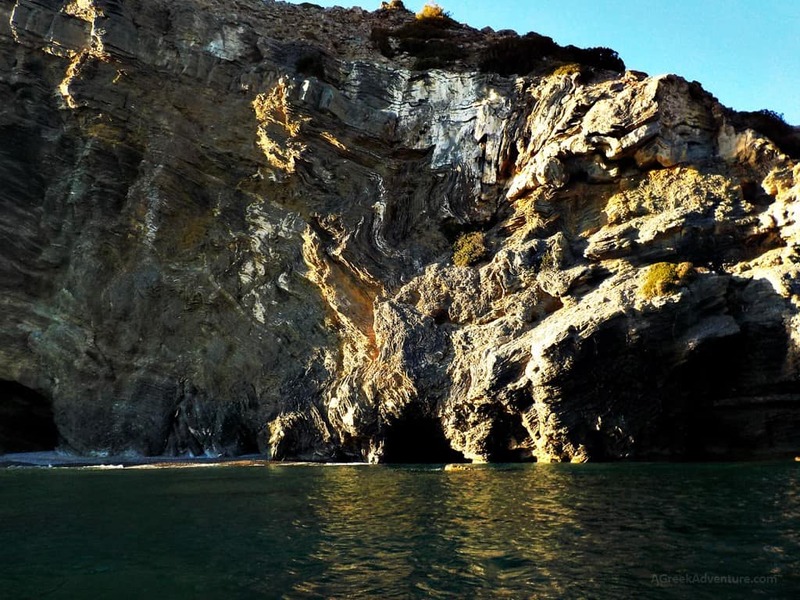 If you want to swim in the other beach then just walk that path you see above and go over the small cliff. Over that cliff, you will see this one. As you see the beach continues further more. We didn’t go there. The overall feeling was of very relaxing. We totally love such beaches where you can find showers to wash out salt. Especially when you have plenty of things to do after that. This is a totally different style of a beach. It is near Mesta village. To go there you arrive at the top of the hill where there is an activities station. Just take the short path down and you arrive to a secluded beautiful beach. Hector, who runs the water activities place is a very cool person. 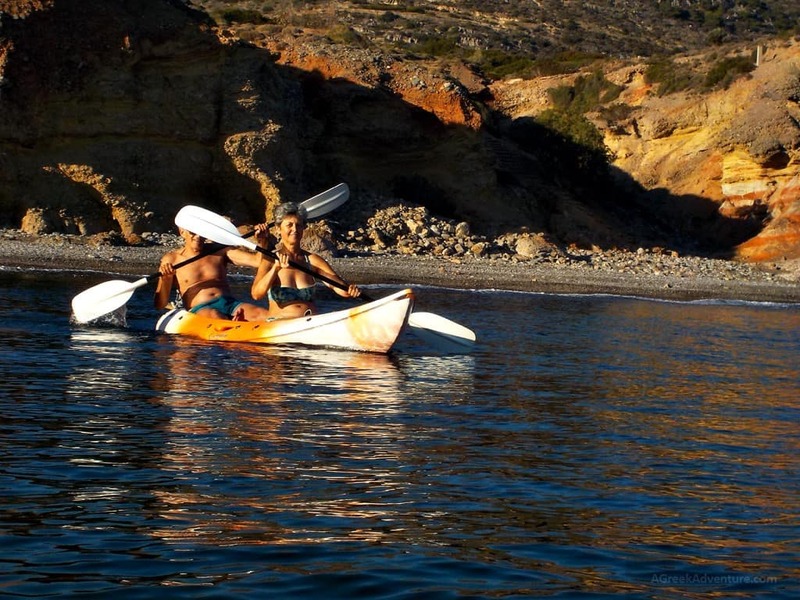 He kindly provided the kayaks so we could have the experience of paddling along the coastline. The beach is very nice and not windy at all at the day we went there. 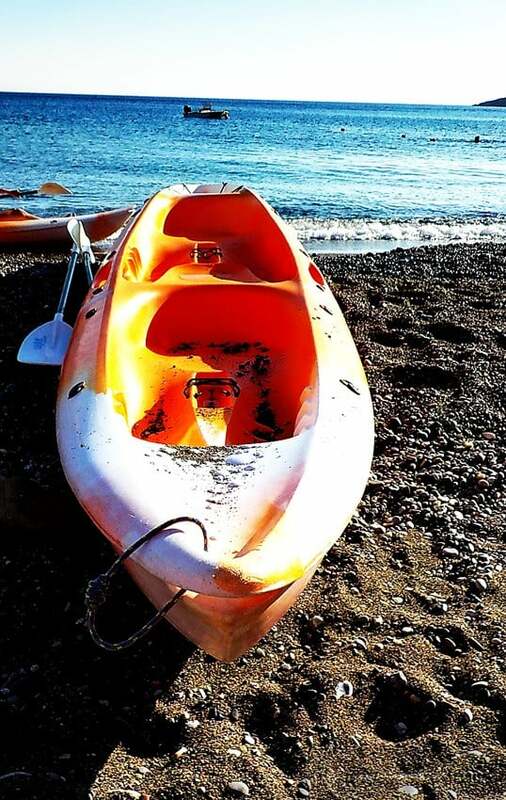 We decided to go for sea kayaking. 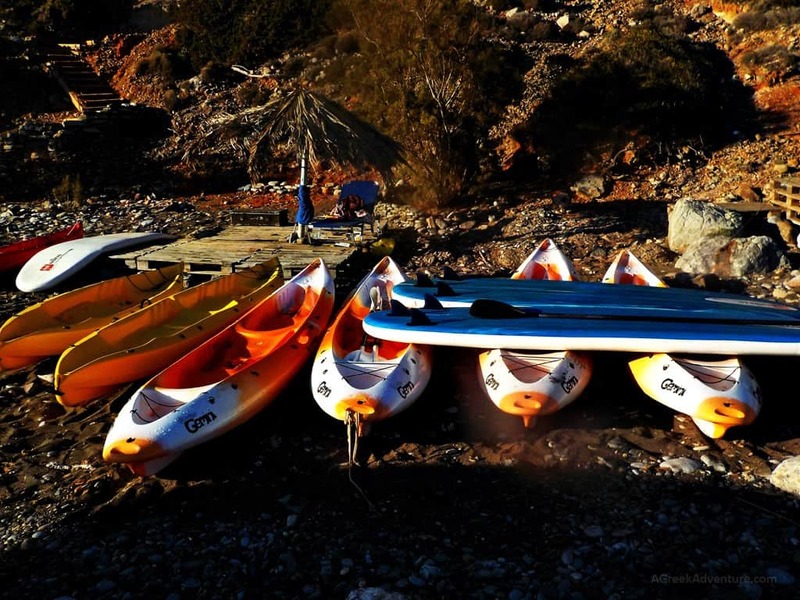 The facilities provide scuba diving lessons and stand up paddling boards too. This was the one we chose. When we arrived at Apotheca, we had the pleasant surprise of meeting George Halatsis and his wife Filia. 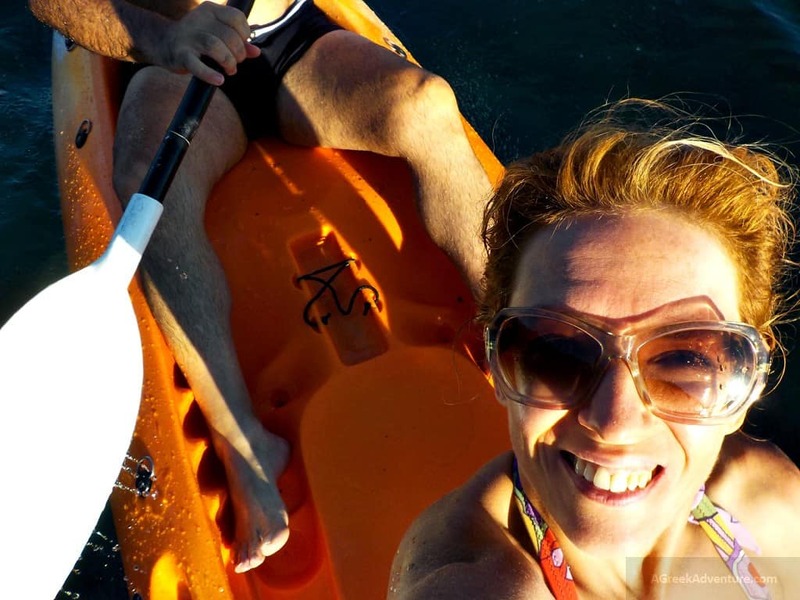 We’ve met this vivid couple (hikers, mountain climbers, teachers) at Agiasmata Thermal baths. We grabbed two of the kayaks and went out exploring. George and Fillia, really enjoying this. Sun was coming down fast. We had some time for a short swim. This was one of the beaches where I didn’t want to stay out of the water. 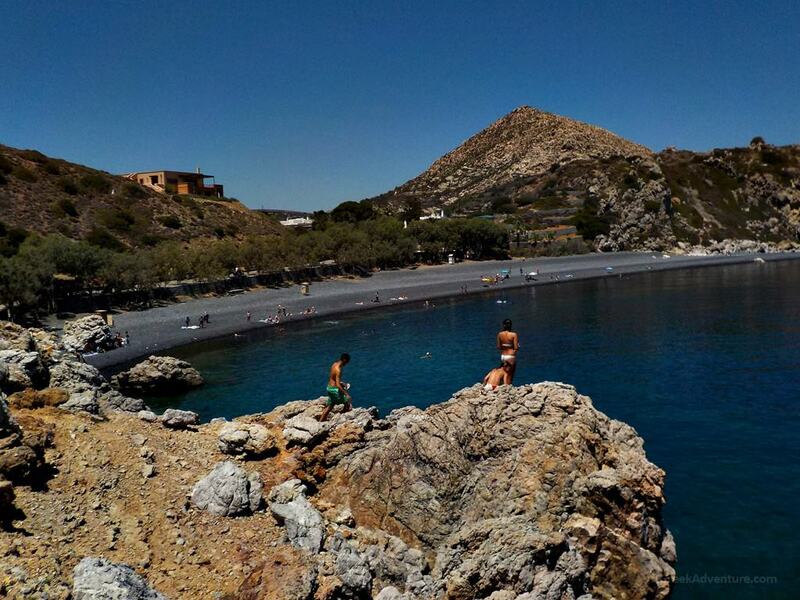 These 2 are definitely 2 beaches where you must go and swim. If you are an activities person chose Apotheca. 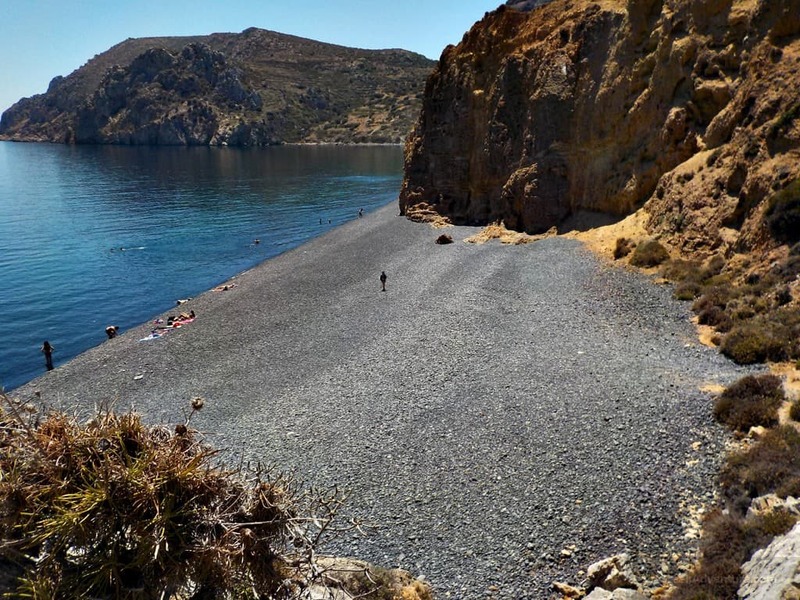 There are many beaches in Chios to explore. 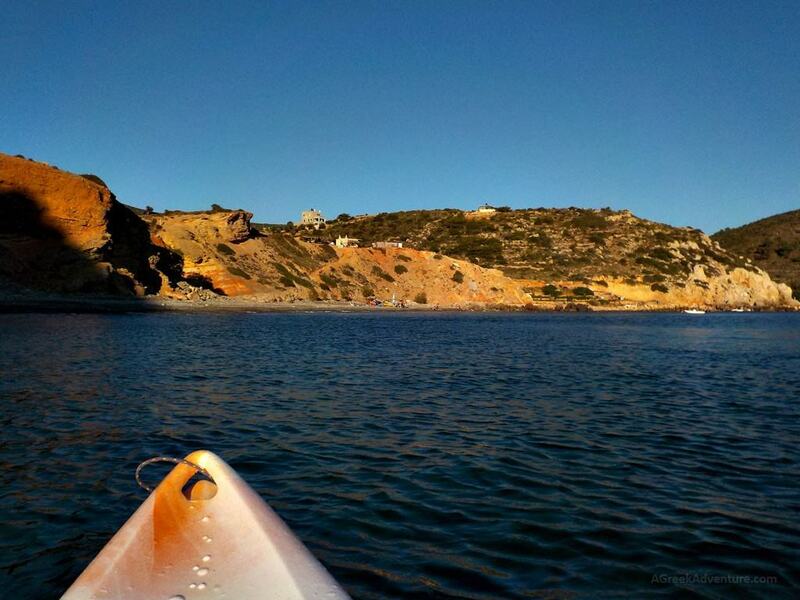 That is why we finally understood that Chios is an island to spend at least a week. 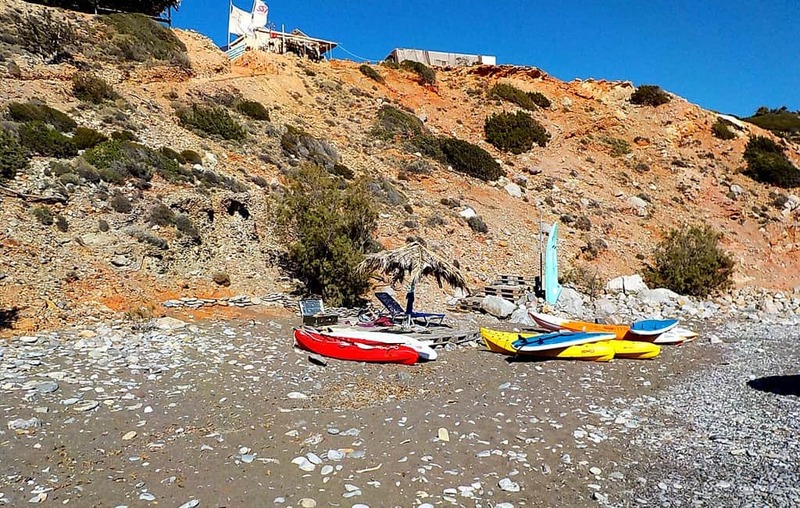 We need to thank Hector from Apotheca for his hospitality and provision of sea kayaks. 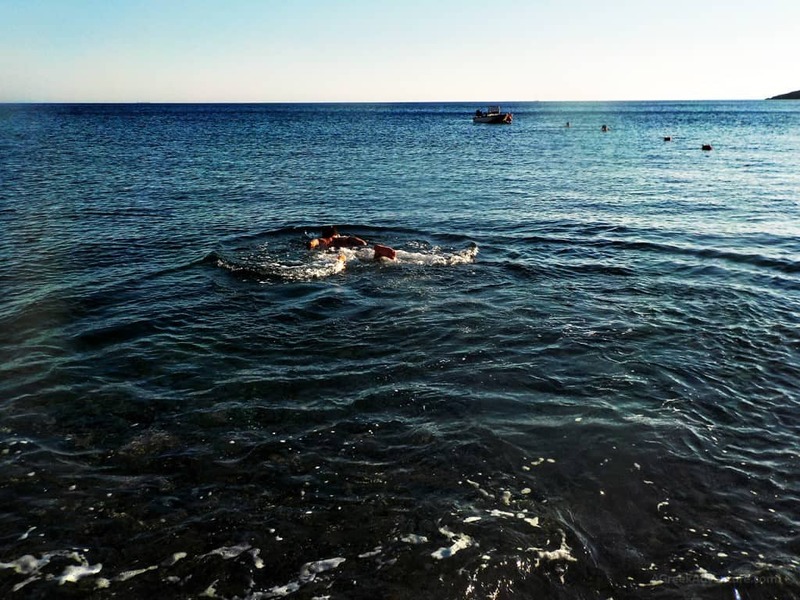 Our trip through Chios was organised by North Aegean, Regional Unit of Chios office. Transportation was sponsored by Hellenic Seaways! Kindly share this and make Chios known to the world!